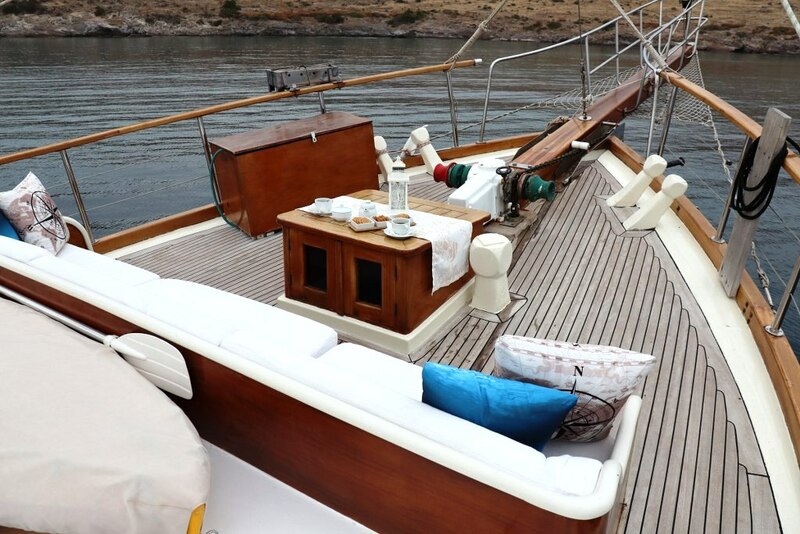 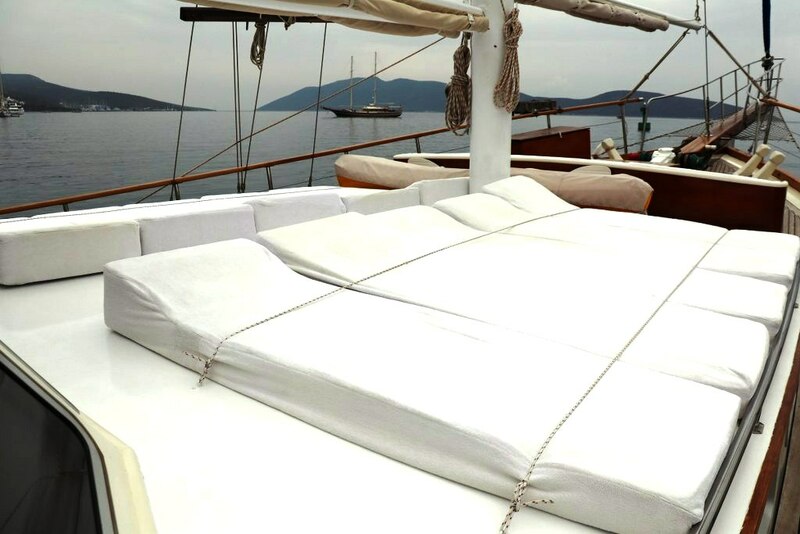 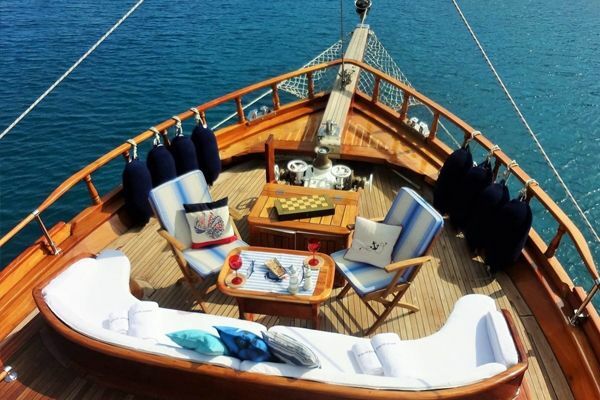 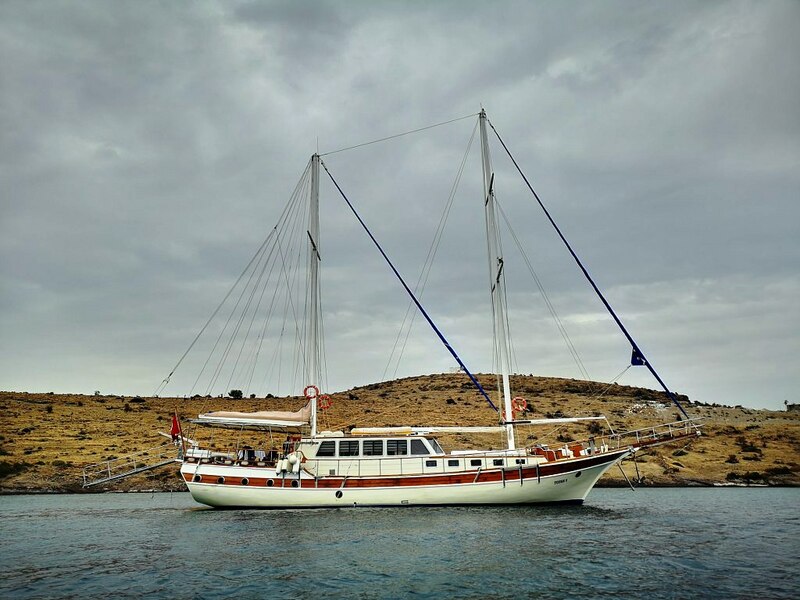 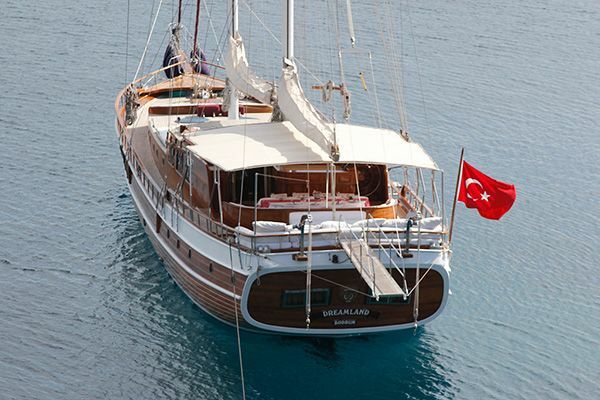 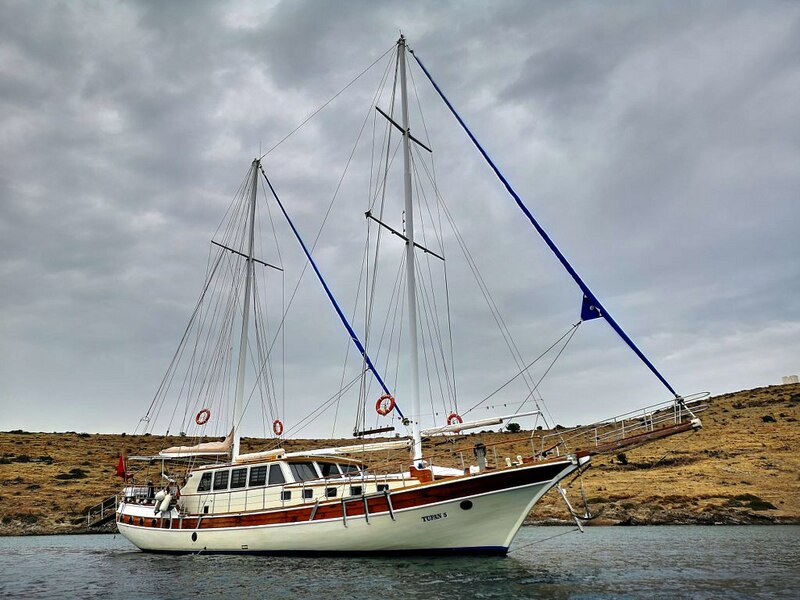 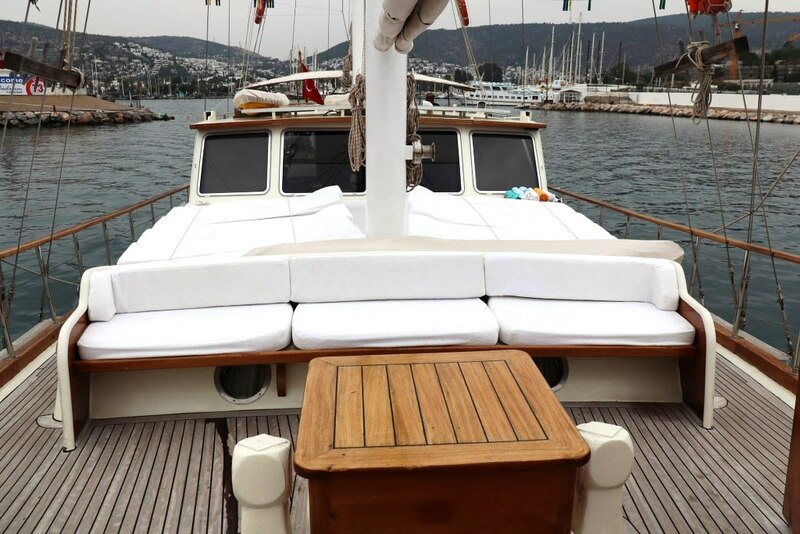 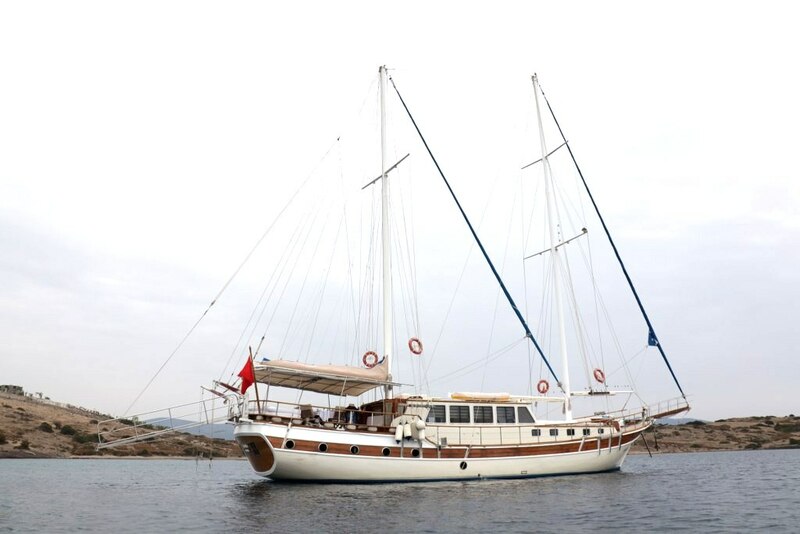 The gulet Tufan V is a very popular 23 meter classic style wooden Bodrum gulet, owned and sailed by Captain Kemal and his son and crew who give a warm welcome to all who sail with them. 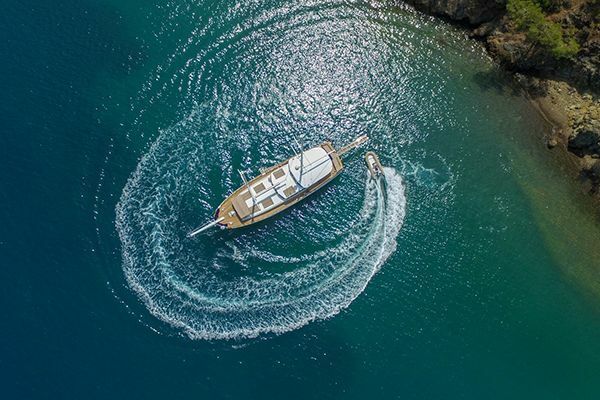 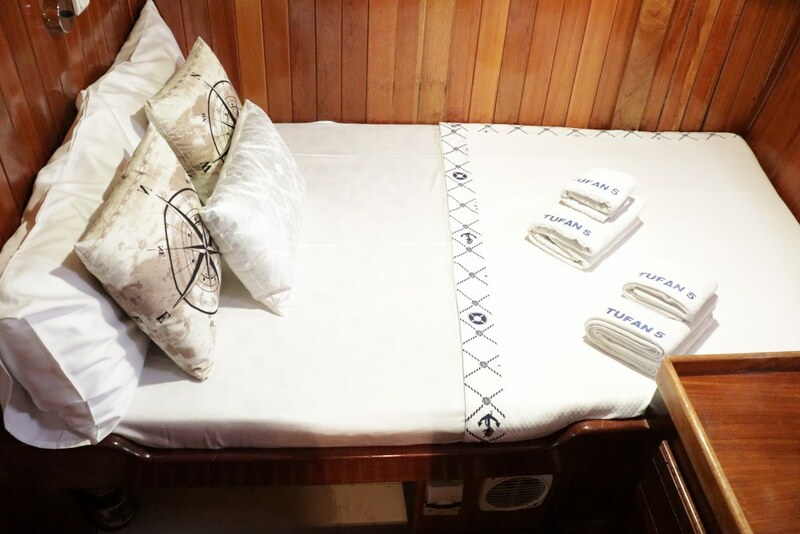 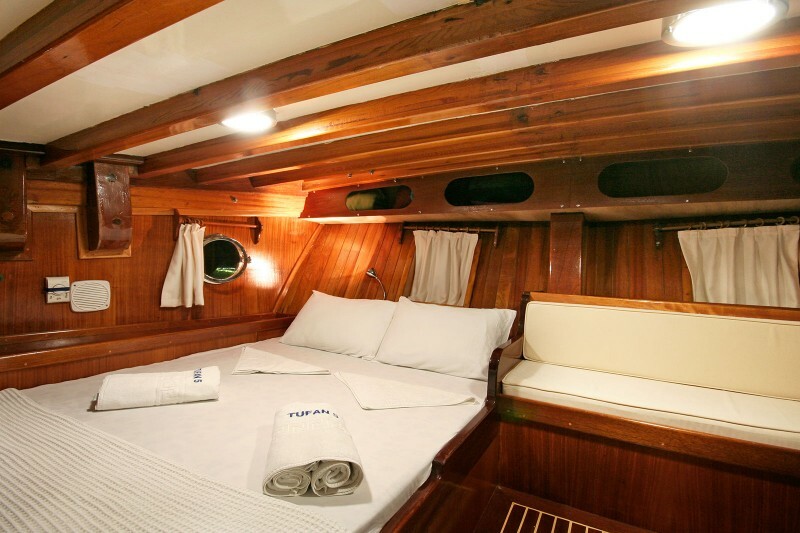 The immaculately kept gulet has five double bed cabins including two larger master cabins, one forward and one aft which enjoy the space of the full width of the gulet. 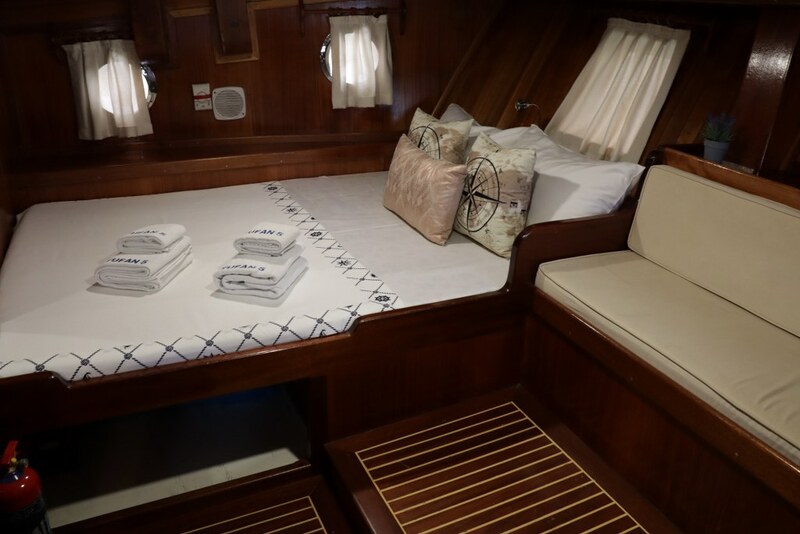 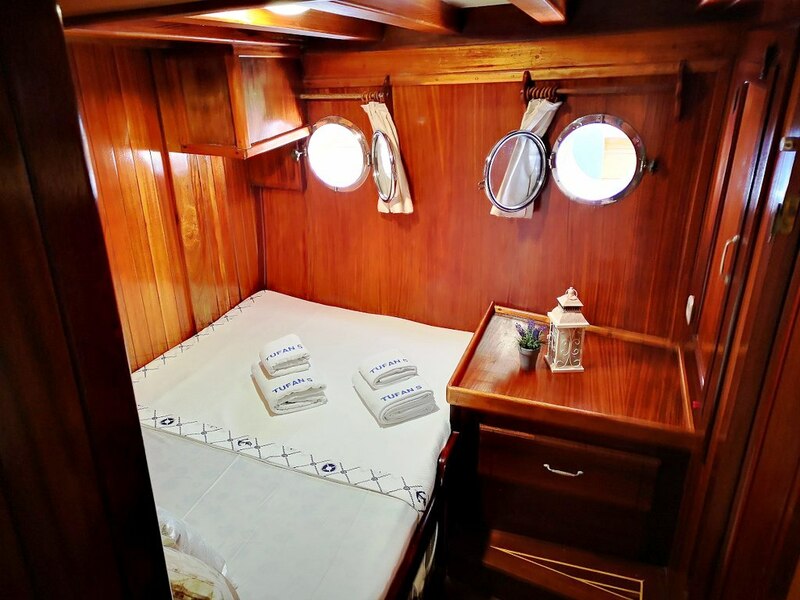 One master cabin and one double cabin are located in the aft or stern section, while the forward master cabin and two double bed cabins are grouped together. 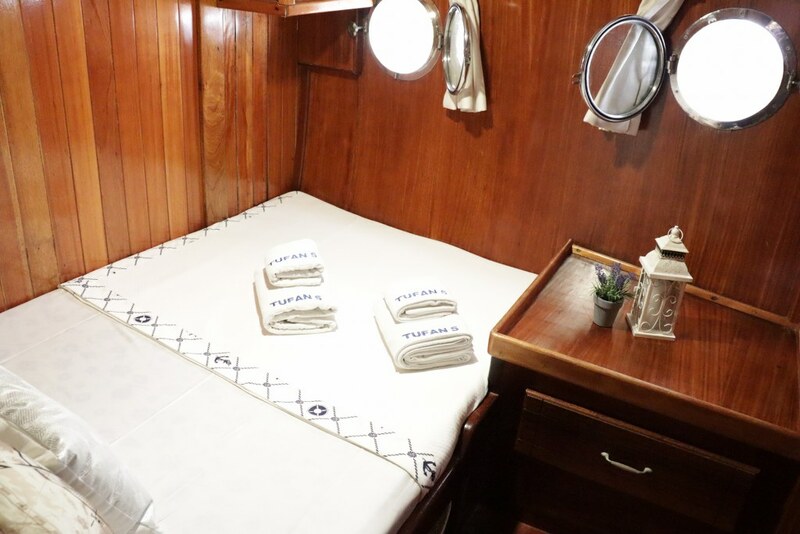 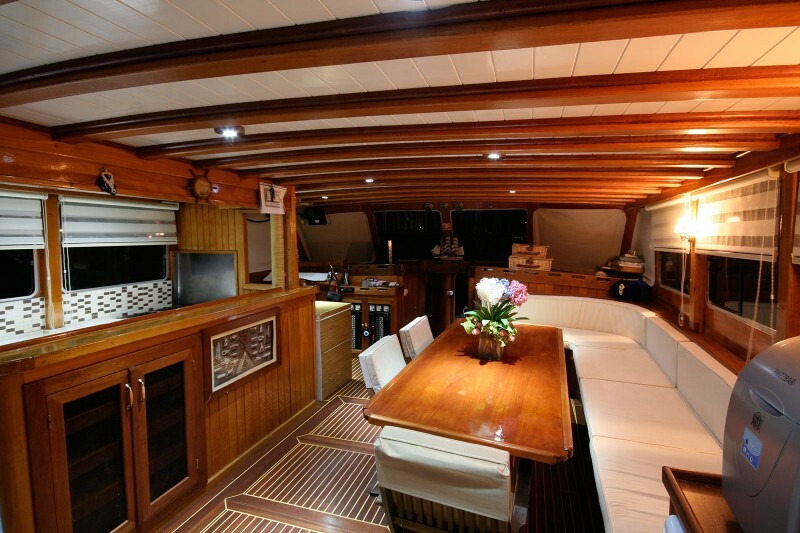 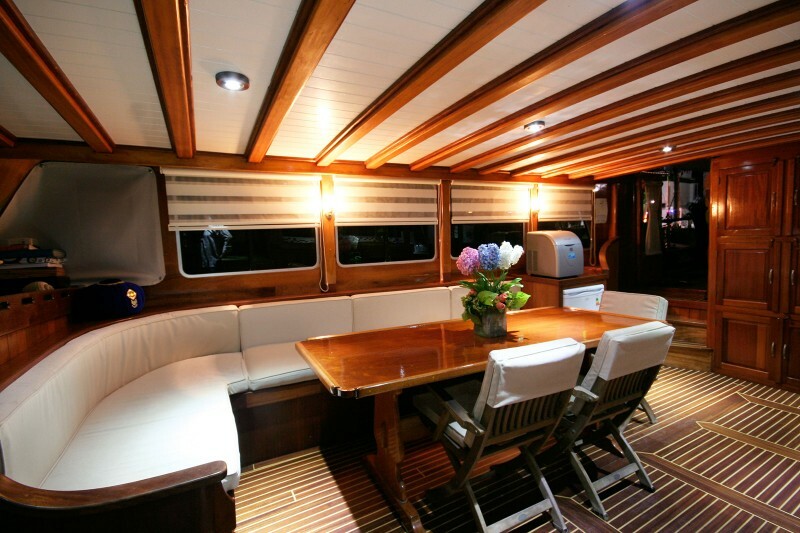 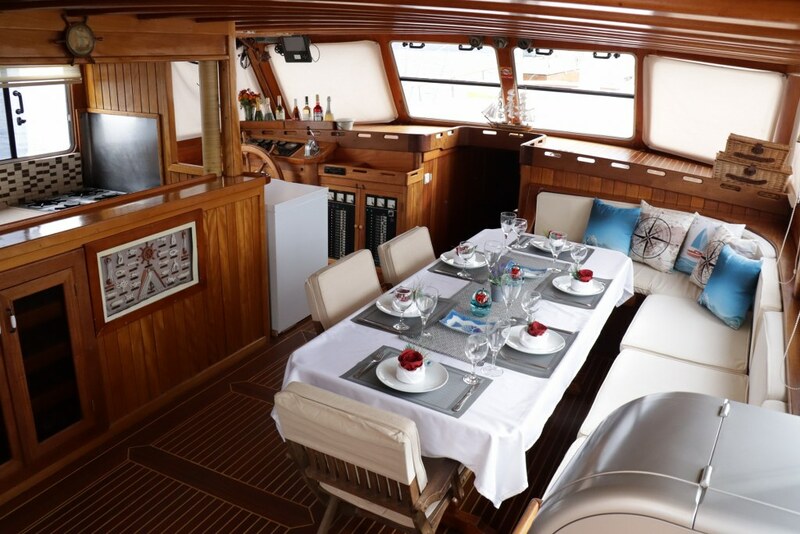 All are accessed through the indoor saloon where comfortable seats and an indoor dining table give an indoor communal space as well as the galley kitchen and bar. 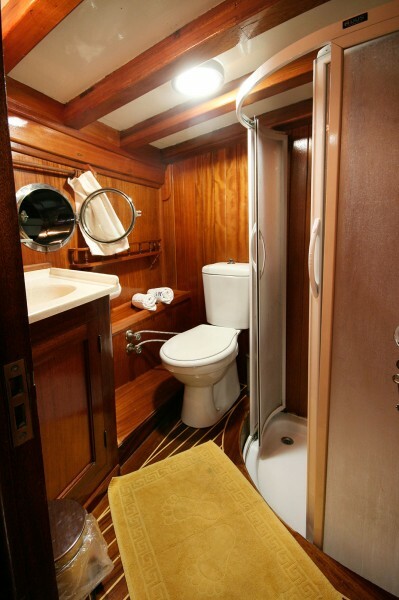 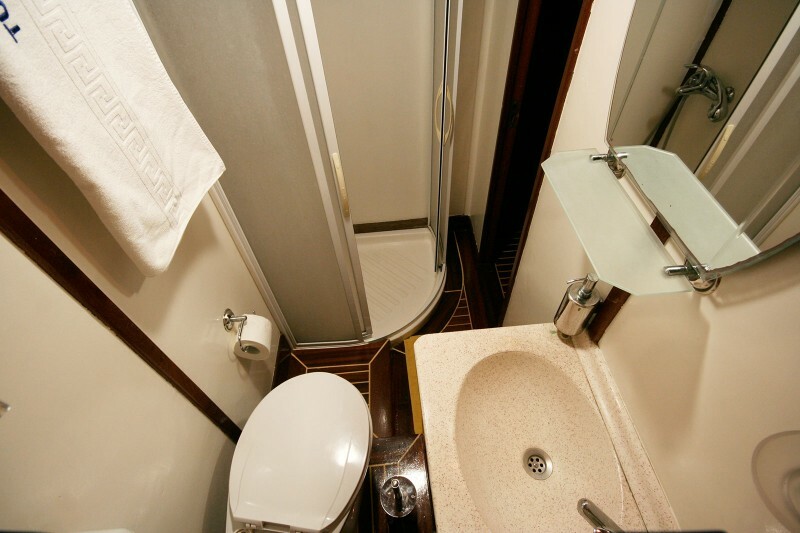 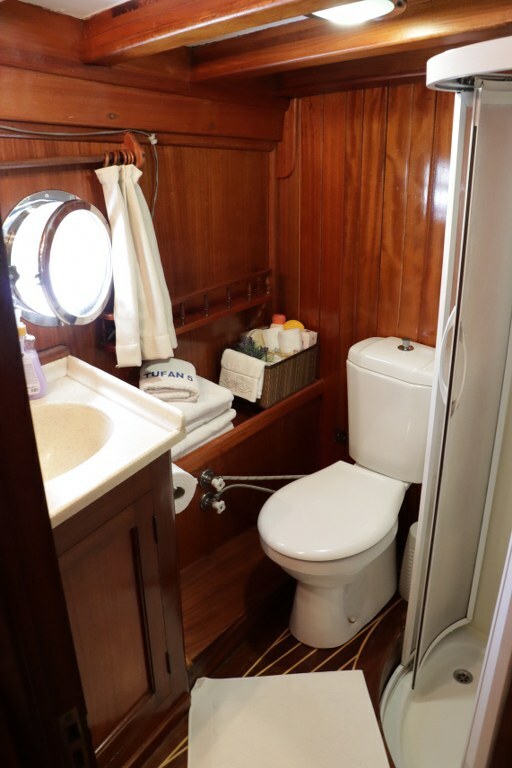 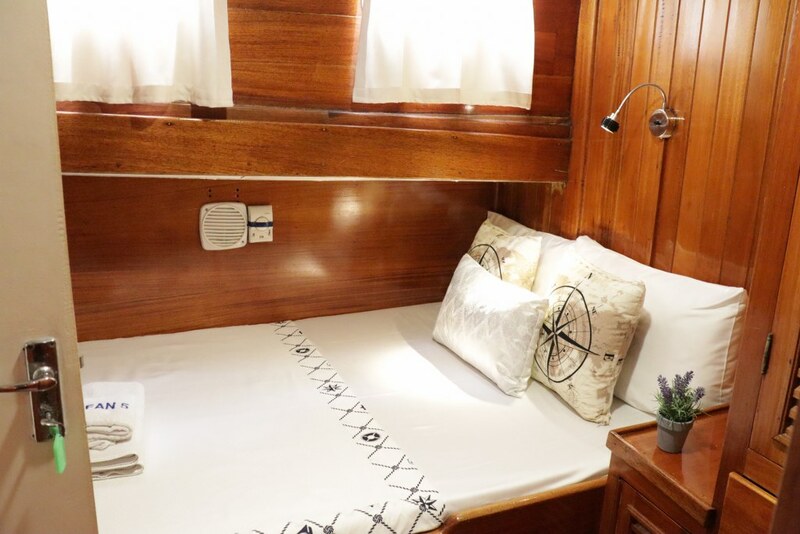 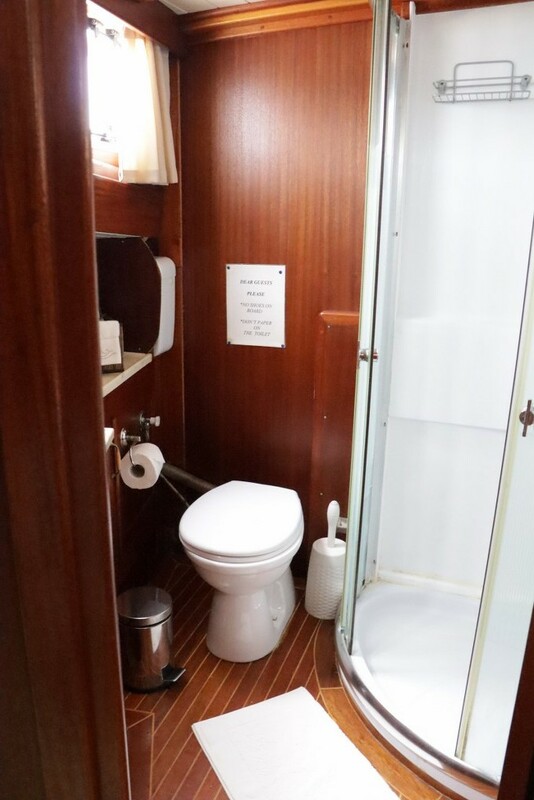 All cabins and the saloon have air conditioning available, and cabins each have their own private bathrooms with shower and toilet. 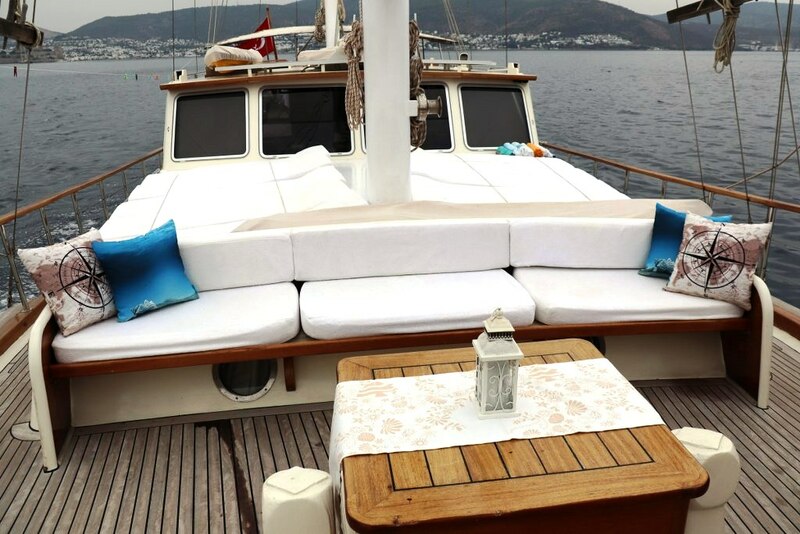 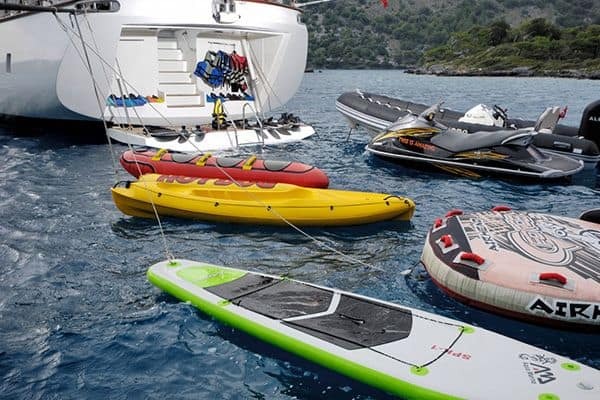 The holiday cruise life is best enjoyed on the gullet Tufan V deck, lazing in the shade on the sunbeds on the front deck or on the cushions across the stern, or in the sun at the front seat. 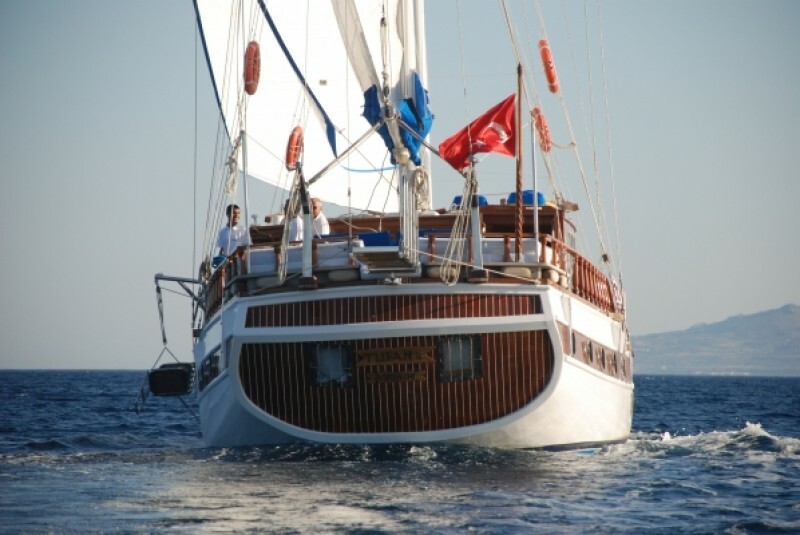 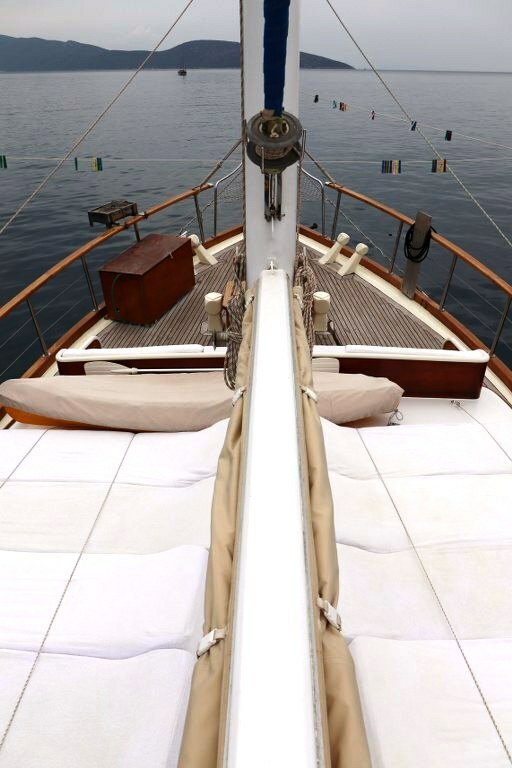 The owner-captain is famous for enjoying some diving and fishing, and for putting up the sails when the winds permit. 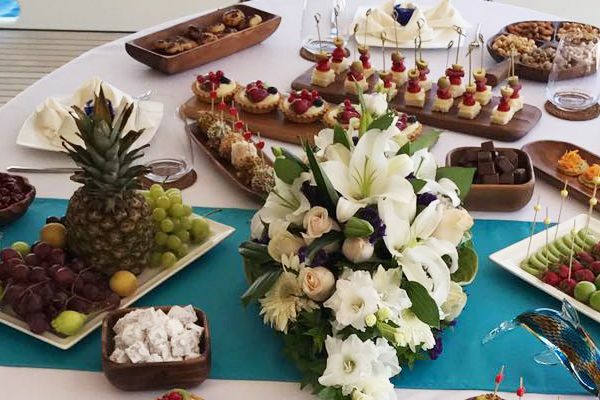 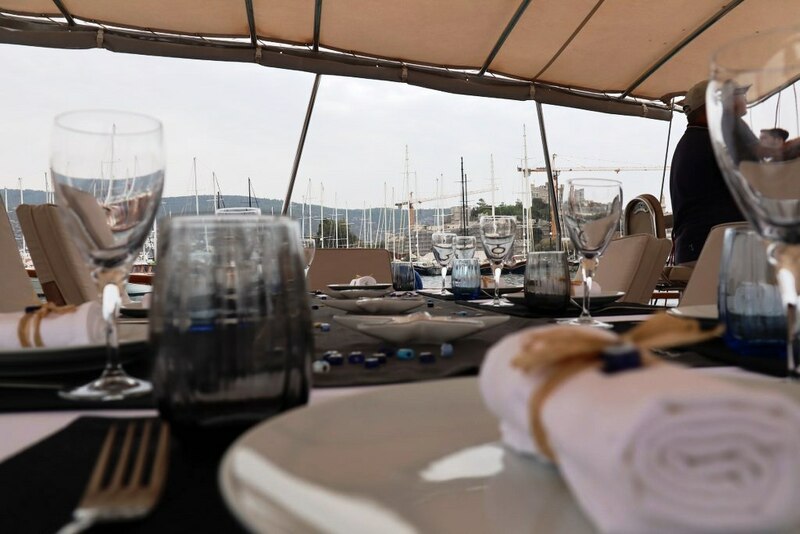 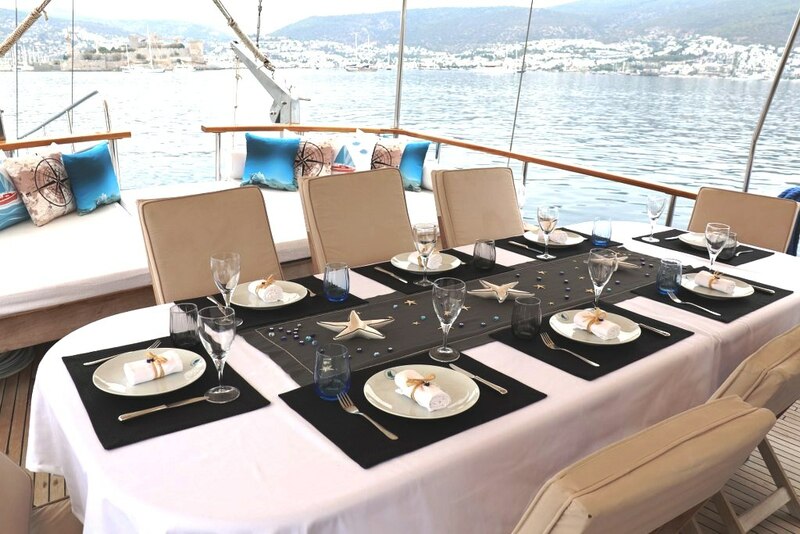 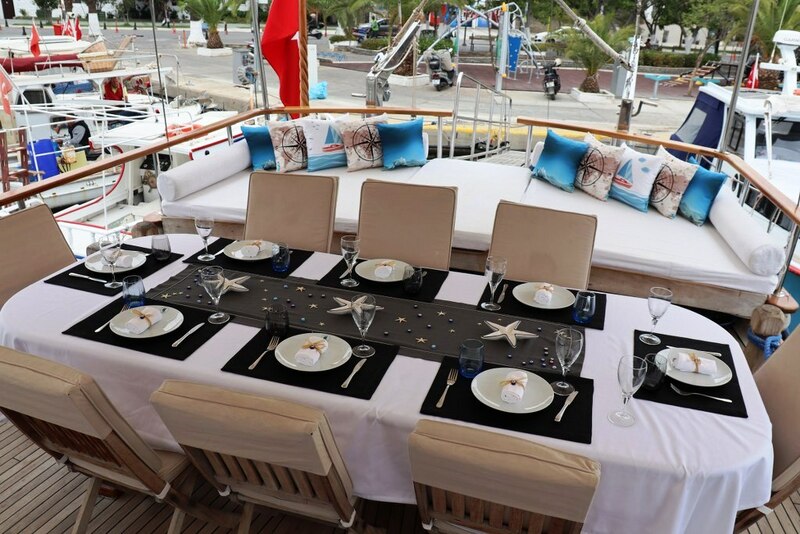 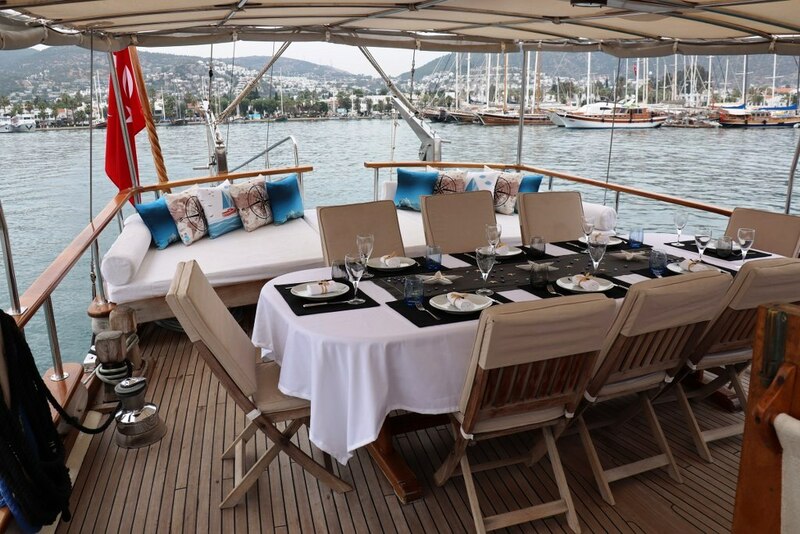 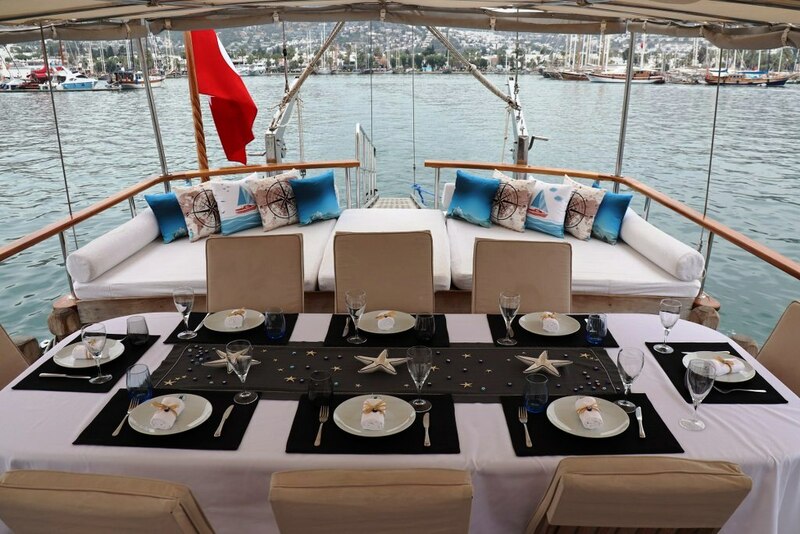 The guests are looked after very well with meals and drinks service for the whole cruise along the Turkish coast or with a visit to nearby Greek Islands.